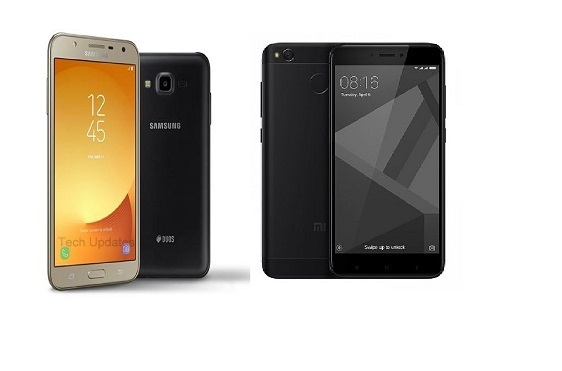 Samsung has launched Galaxy J7 NXT smartphone in India priced at Rs 11490 in India.Here is Price, Specs, features comparison between Samsung Galaxy J7 NXT and Xiaomi Redmi 4. Both Phones comes with HD Display, 13MP Rear Camera and 5MP front facing camera. Samsung Galaxy J7 NXT runs on Android Nougat whereas Redmi 4 runs on Marshmallow. Redmi 4 offers Metal Body, Fingerprint Scanner, 4000mAh Battery which lacks on Galaxy J7 NXT which has Dedicated MicroSD card Support. Samsung Galaxy J7 NXT comes in black and gold color options available through offline retailers and it is priced at Rs. 9990 for 2GB RAM and Rs 11,990 for 3GB RAM..Xiaomi Redmi 4 comes in gold and black priced at Rs 6999 for 2GB RAM, Rs 8999 for Rs 3GB RAM and Rs 10,999 for 4GB RAM.